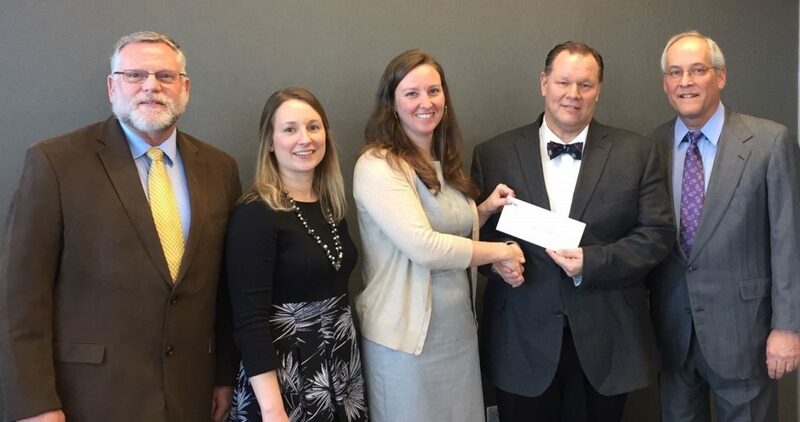 North Carolina’s electric cooperatives have supported the work of the N.C. Jaycee Burn Center at UNC Hospitals since 1972, when the cooperatives’ Board of Directors pledged $40,000 to help create the center. Last week, the co-ops continued their long-standing financial support of the center by presenting a donation of $150,800 to the Burn Center Advisory Board. This contribution was generated through the co-ops’ 20th annual fundraising golf tournament, which was scheduled to be held in October 2018, but was later cancelled due to flooding from Hurricane Florence. However, the weather did not put a damper on the generosity of the co-ops, our partners and vendors, and we were still successful in raising substantial financial support for the center. Over the years, electric cooperatives, in partnership with more than 80 organizations and individuals, have donated more than $1.9 million to the Burn Center, helping it become one of the leading comprehensive burn centers in the world. Beyond providing the very best in compassionate care, the Burn Center’s mission extends to advancing burn prevention education and outreach, innovative treatment, research, rehabilitation and life-long after care. More information about our ongoing partnership with the Burn Center can be found in the Community section of our website. Representatives from North Carolina’s Electric Cooperatives present a donation to the N.C. Jaycee Burn Center at UNC Hospitals. Pictured from left: Dale Lambert, CEO of Randolph EMC and Burn Center Advisory Board Member; Kristie Aldridge, Director of Communications Strategy and Marketing for North Carolina’s Electric Cooperatives; Lindsey Listrom, Communications and Media Relations Manager for North Carolina’s Electric Cooperatives; Dr. Bruce Cairns, Medical Director of the North Carolina Jaycee Burn Center; and Wes Googe, Chair of the Burn Center Advisory Board.